Casablanca is an old house of prominent French Colonial style located in Downtown Guadalajara. After being intervened by architect Erick Millán, it has become a Design Academy where attendees can study between beautiful murals and gardens. To portray the architectural style of Casablanca, and to highlight the elements of nature that surround it through an unique graphic concept. 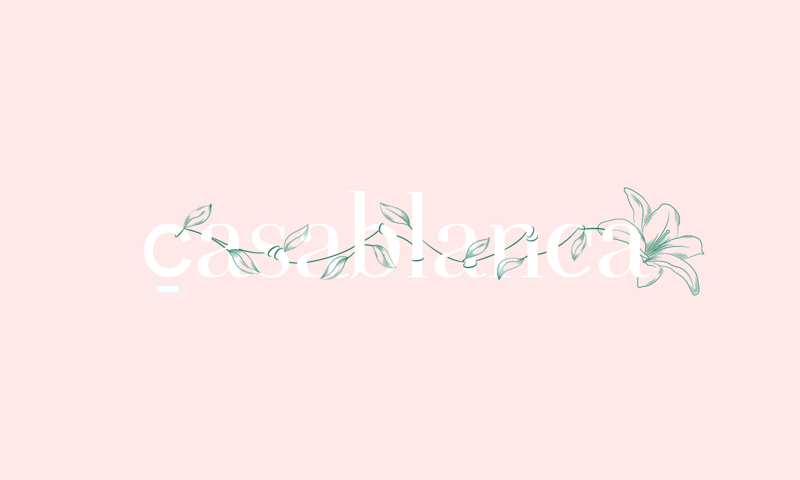 Widely inspired by Alfonso Cuaron’s film “Great Expectations", our logotype proposal consists of a Serif typeface accompanied by a hand-illustrated vine in representation of the abundant gardens of the residence. Under the idea that in Casablanca students are going to flourish, we came up with the “House of Bloom” concept. The combination of pink and green suggests delicacy.